In the final of PTC 9 (Acurate Antwerp Open), Judd Trump defeated Ronnie O'Sullivan by 4-3 in just 75 minutes to win his second PTC title this season. Well done! The final is one of the best and most enjoyable final for me, both players showed their strength and demonstrated buzzing attacking snooker. Ronnie took the opener with highly appreciated 63 (with only blue and yellow only) before Trump took the next three with 68, 65 and 65. This act fired up the Rocket to play his best, producing back-to-back centuries 118 and 132 to force a decider. 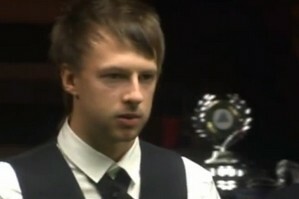 In the decider, Trump succeed with 44 and 41 along with a fluke on the match ball to capture a 4-3 win over Ronnie. 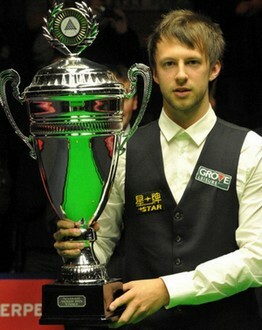 Trump pocked 10000 euro for the title as well as 2000 ranking points. "This season has been pretty good so far, I've been more than happy with the way I've played. I lost my first match in the two main ranking events but I've done well in the PTC events and I'm really looking forward to the UK Championship and the Masters now because those are the big ones." Trump now shares two PTC events victories with Ronnie and Robertson, who also dominated the series this season. As for the success of the tournament in Belgium, Trump added: "I definitely think we could have a full ranking event here. The fans have been great and the players would be more than happy to come back." Performances of two players in the final dazzled the fans. I feel like there was no definite winner for the match, they were just showing their best to the fans. Their last encounter was on Premier League early this month which Ronnie won 3-2. Seems that the only way to divide a winner from one of them is by deciders. There is a chance for the fans to see them clash again: in the last 16 of UK Championship next month if they pass the first round. The talents will wow us again! Are the PTCs no longer profitable for low-ranked players? Top 16 players are doing well in the PTC events recently. Four semi-finalists all came from Top 16 - Does it imply that Top 16 players will soon dominate the PTC series? There are some clear evidence showed us: Ronnie, Trump and Robertson each won two events, Selby grabbed one. 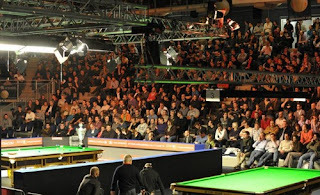 Only two remaining events that have taken place were won by two non-Top 16 players, Wollaston and Higginson. Some Chinese players complained about the high expenses for participating oversea PTCs and Barry Hearn created the series to help to lower-ranked players winning more prize money in some extent: Are the PTCs no longer profitable for lower-ranked players? Look at the example of former pro player Bjorn Haneveer who just retired from the circuit due to financial difficulties. Prize money of the PTC events are not high: no prize if you lose in last 128, £200 for last 64, £1,000 for last 16. If lower-ranked players are not playing in PTCs, you will miss the chance to grab ranking points and hence affect your ranking. We all know that there are 12 PTCs in total, half of them are located oversea. Will it be better to reduce the total number of PTCs to eight? Blackmail the players cannot gain their support. Interests of lower-ranked players cannot be neglected despite the globalization of the sport.